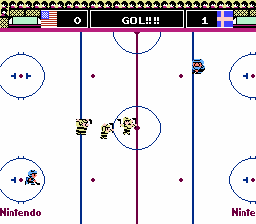 Ice Hockey is a classic arcade rendition of the sport. 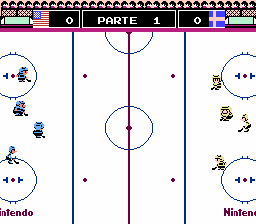 Players form their own four-player teams by selecting from three different player classes. The big fat player is able to make powerful shots, but is slow and weak at the face-off, while the skinny player is poor at making shots, but is quick and skilled at the face-off. 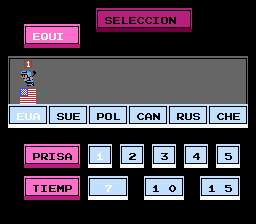 The third player is an average-built character with evened out skills. 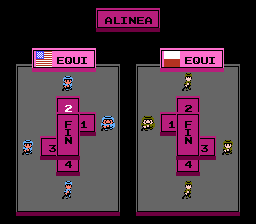 This game is a blast in 2-player mode! 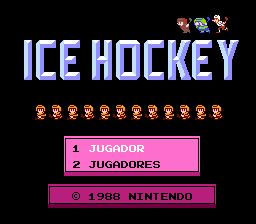 Translation to Spanish for “Ice Hockey” for the NES.